Homemade Cheese, Please | What Am I Eating? I fell in love with a Mexican . . . cheese! Yes, my boyfriend hails from DF, or Mexico City for all the non-Spanish speaking folks. He introduced me to fresh Mexican cheese, or queso fresco. Great on tostadas, enchiladas, tacos, taco salads, taquitos, pretty much anything with jalapenos or cilantro included in the recipe. Beats the heck out of greasy shredded cheddar. Cheddar has its applications as well (a grilled cheese sandwich with gooey, sharp white cheddar and garlicky kosher dill pickles, yum! 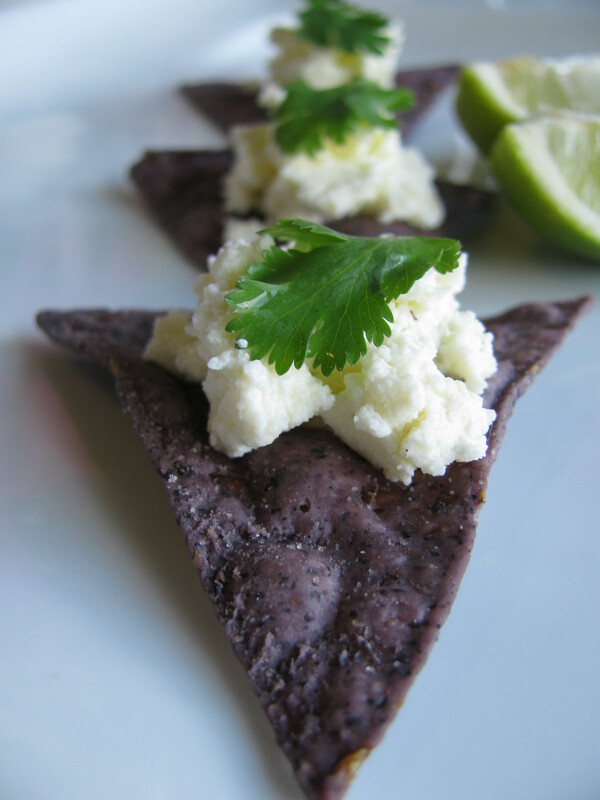 ), but when cooking Mexican food, nothing beats fresh queso fresco (kind of redundant, huh?). It doesn’t really melt, but caramelizes if baked in the oven or under the broiler. Yummy! One problem, it never goes on sale! Once and a while, maybe, by fifty cents. Pretty expensive stuff. And when I started to shift my eating habits more towards the organic options, I couldn’t stand the thought of cutting out my new favorite cheese. So, I researched my options the way I always do, online. I found plenty of recipes for homemade queso fresco, and they sounded so easy, I wondered why I never thought of it before. I tried it out with some organic milk, and sure enough, it turned out wonderfully! And so easy to make. I can now make my own organic lime and sea salt queso fresco, with my own spin and control over sodium and preservative content. I am so in love with this cheese, that the other cheeses may start to get jealous. Oh well, I may have one great love, but I can have some fun on the side once and a while, right? I mean you, cheddar! I adapted this recipe from the recipe on this website. Heat the milk in a saucepan over medium-low heat, stirring constantly, until the milk almost comes to a boil. Tiny bubbles should form around the edges of the pan, but do not bring the milk to a full boil. If you use a thermometer, the milk should reach about 195 degrees. Add the lime juice. Stir and then remove from the heat. Let sit for about 10 minutes. 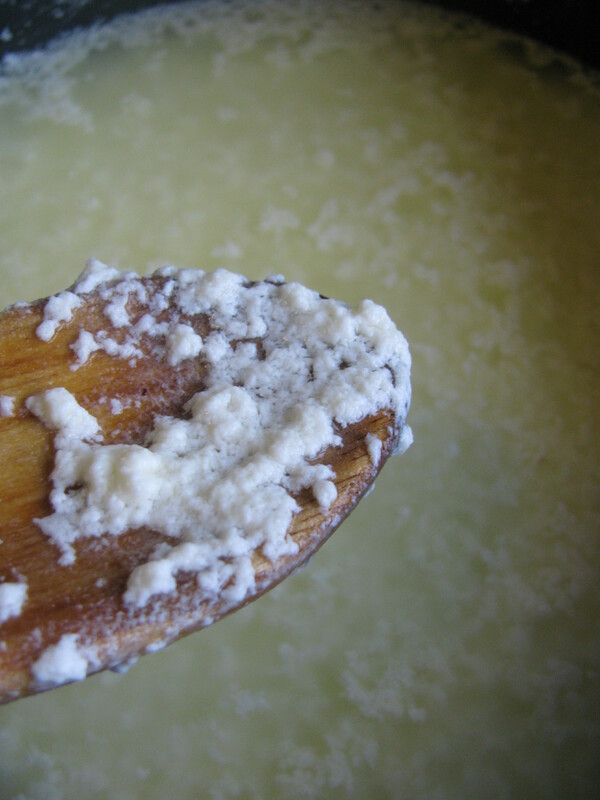 The curds should start separating from the whey almost immediately. After 10 minutes, stir and then pour the mixture through a cheesecloth-lined strainer. (There are uses for the whey if you want to save it). Sprinkle the curds with the sea salt. Gather the curds in the center of the cheesecloth, and form it into a loose ball. Top it with a plate and some weights (canned food works well) to help with the draining/firming process. Refrigerate (make sure there is a bowl under the strainer!) for a few hours until the majority of the whey has been pressed from the cheese. Remove the cheesecloth and store the cheese in the refrigerator in a covered container for 5 to 7 days, depending on the freshness of the milk. Mmmm… This looks delicious! But then, what cheese isn’t? on May 21, 2010 at 2:44 PM | Reply Bean Fear « What Am I Eating? Thank you! 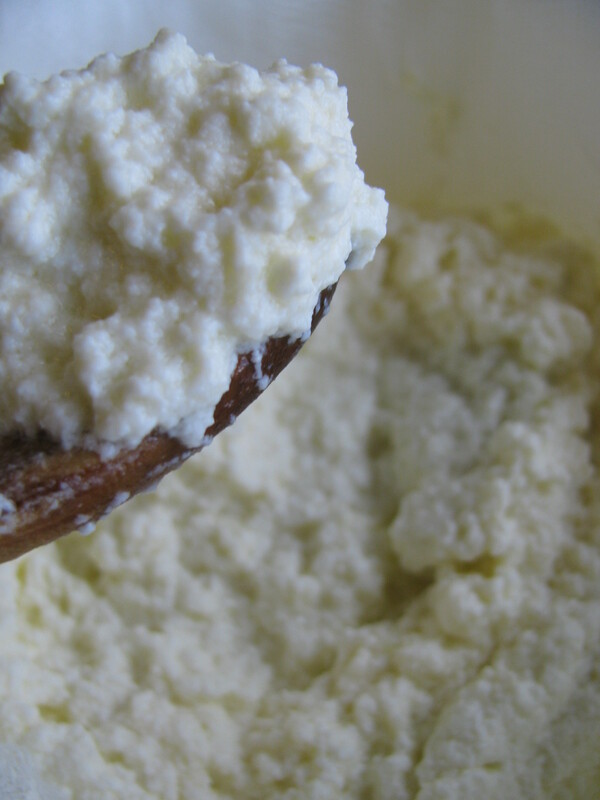 Queso fresco is definitely the place to start with cheese-making. So easy!